Callen seeks to uncover the keys to a case, and unlock secrets of his past, on the first season finale of NCIS: Los Angeles. 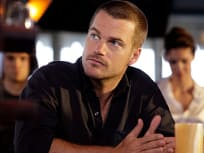 Callen's cover is blown and he is forced to cut off all contacts with the team, and they must find the cause of the security breach. Hetty's role as the coordinator of the Office Special Projects is the focal point of this episode, the third to last of the first season. The NCIS special projects team continues its search for one of their own, and achieves a surprising result. Dom is found ... but will he be safe? Callen investigates the murder of a Navy officer entangled in the world of Hollywood glitz and glamor. 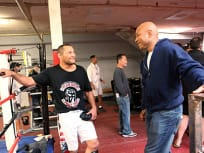 The team goes undercover and joins a Mixed Martial Arts team in order to find the killer this week. 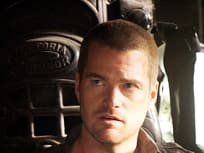 The investigation of a drive-by shooting has the NCIS team searching Los Angeles for the dead marine's younger brother who may be the next target and the one with the answers. The team investigates the death of a sailor who died in an underground street race, and they find that his car was sabotaged. The death of a lieutenant commander appears to be suicide, but the NCIS team uncovers evidence corresponding to murder. 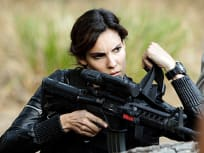 While opening a safety deposit box, NCIS Special Agent Kensi Blye is shot after armed assailants enter and hold everyone in the building hostage. The team investigates a case in which two men posing as Marines were trying to secure biological weapons. The team rushes to a crime scene after receiving an "agent needs assistance" page and learns that one of their own is in peril. 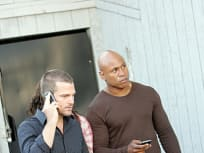 The murder of a recently released convict forces Callen to go undercover solo as an old alias, while Sam and the LA team track him from a distance. 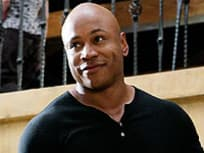 A Petty Officer is found dead this week on NCIS: Los Angeles. The episode is titled "Breach." We've got a brief recap of this week's episode. It's titled "Brimstone." A serial killer is in town this week. The episode is titled "Random On Purpose." A Marine is found dead on this week's episode. It's titled "Ambush." Callen discovers why he was shot down a few months ago. This episode is titled "Pushback." This episode of NCIS: Los Angeles is titled "Keepin It Real." The body of a marine is found during it. This episode of NCIS: Los Angeles is titled "Killshot." During the hour, the team looks into the death of a contractor. The search for the main culprit that killed an Iraqi businessman goes on with Special Agents Sam and Callen leading the investigation. There's a missing unmanned aerial vehicle this week on NCIS: Los Angeles. Read on for a brief recap of events. This is the second-ever episode of NCIS: Los Angeles. During the hour, the unit works the murder of a drug dealer. This is the series premiere of NCIS: Los Angeles. 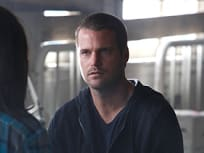 In it, Callen returns from a shooting. 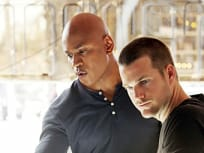 NCIS: Los Angeles Season Finale Review: "Callen, G"
NCIS: Los Angeles Review: "Burned"
NCIS: Los Angeles Review: "Hunted"